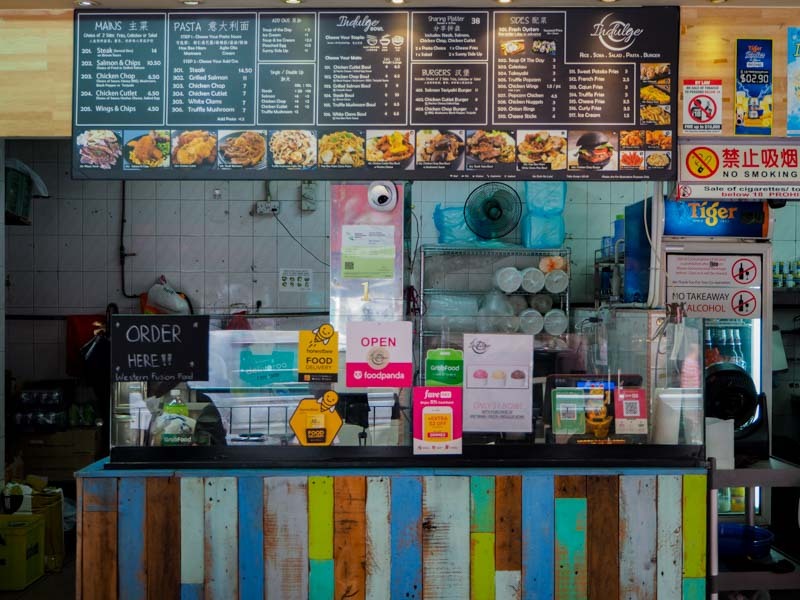 Coffee shops are starting to get better than ever as diners are now blessed with customisable rice, noodle and salad bowls. Indulge serves a fusion of Japanese and Western cuisine at Upper Thomson Road, which I just couldn’t miss. Their indulge bowls let you tailor the portion of carbs and meat to your liking. These bowls come in two sizes: small and large. With the increase in demand for larger bowls, Indulge will be introducing an extra-large bowl for those who require more sustenance. To customise a bowl at Indulge, diners have the choice of short grain rice, soba or salad as the base. As well as a main ingredient, and gravy to complete their dish. Not only can this be done for the indulge bowls, but their pasta dishes are customisable too! Diners have four different pasta sauces to pick from, along with their chosen ingredients. 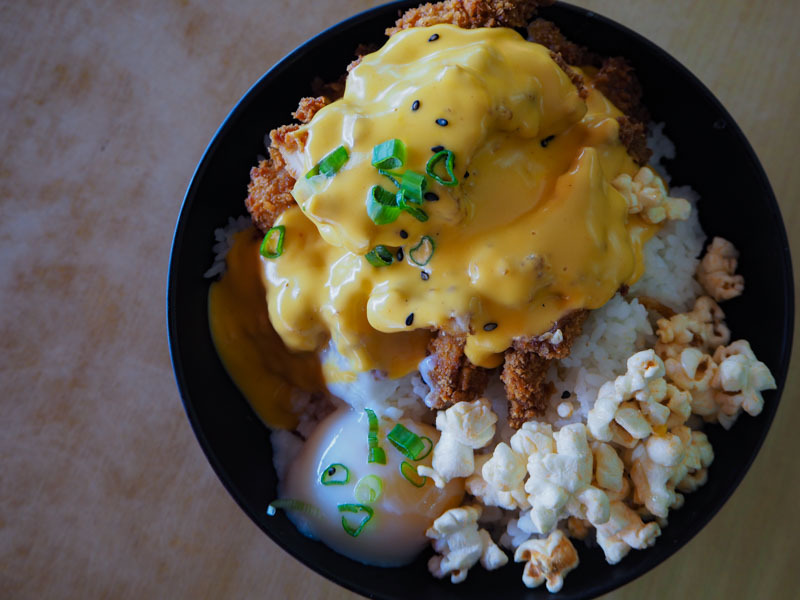 One of their popular bowls is the Chicken Cutlet Bowl with Nacho Cheese (S$4/small, S$6.50/large). I caught a whiff of the nacho cheese as the bowl was placed on our table. The silky golden cheese blanketed a large slab of chicken cutlet coated with a crispy thin layer of breadcrumbs. Even though the cheese reminded me of packet processed cheese, it went well with the chicken cutlet as it added an extra creaminess to the otherwise dry protein. 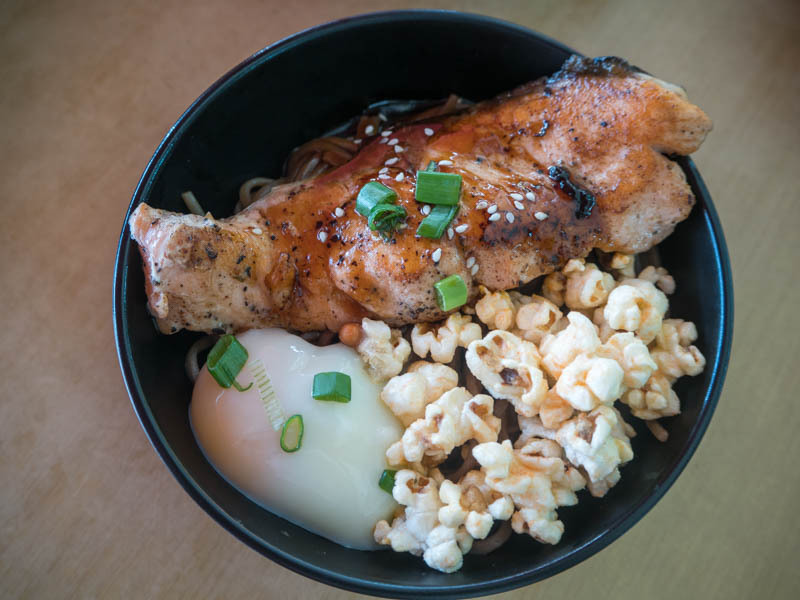 Every Indulge Bowl came with truffle popcorn and a poached egg. The truffle popcorn was glazed with caramel and a hint of truffle, providing a sweet flavour to the dish without being jelak. The poached egg, however, was disappointing, as the yolk did not ooze out as expected. For those who aren’t as crazy about cheese, they can choose the Grilled Salmon with Teriyaki Sauce with Soba (S$5/small, S$8/large). The soba was refreshing from being infused with a sweet aftertaste from the teriyaki sauce. The grilled salmon was succulent and soft which easily separated into bite-sized slices. 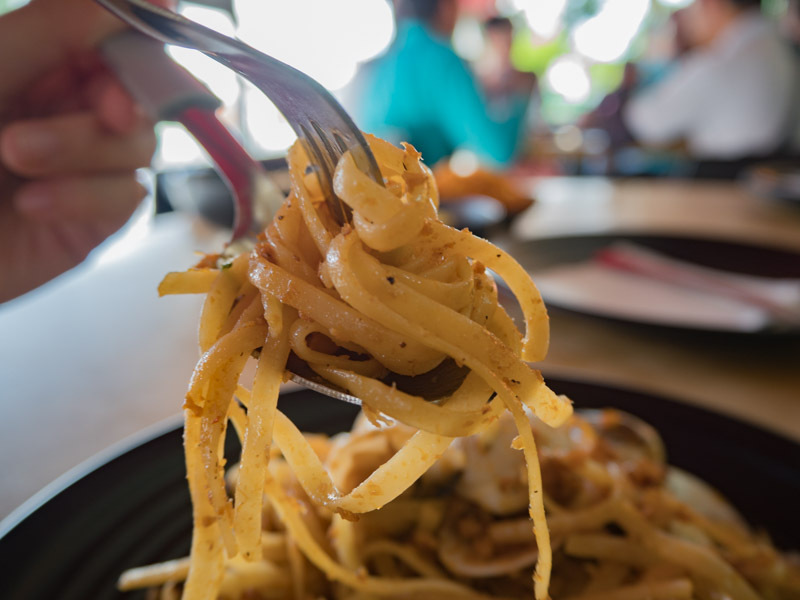 If you’re looking for dishes with a more local flavour, try building your own pasta. You can choose your preferred pasta sauce and other add-on ingredients. 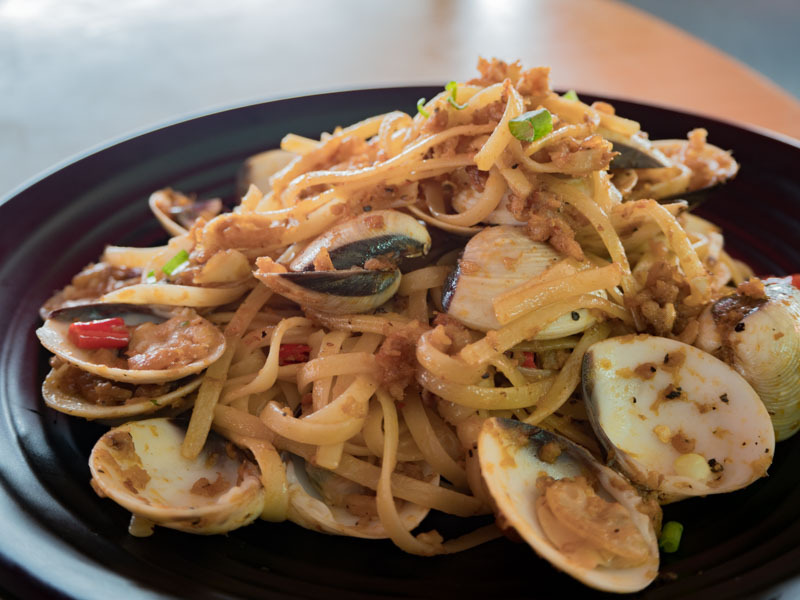 I had the Hae Bee Hiam White Clams Pasta (S$7) as it is a unique flavour that is rarely paired with pasta. Despite being slightly spicy, I enjoyed the hae bee greatly as the texture of the dried prawns was delicate and easy to eat. However, I was unable to taste much of the clams as the hae bee flavour overpowered the whole dish. Besides customisable bowls, Indulge sells other mains too. I tried their Chicken Chop Burger with BBQ sauce (S$8)and changed my side to their Sweet Potato Fries (+S$1). 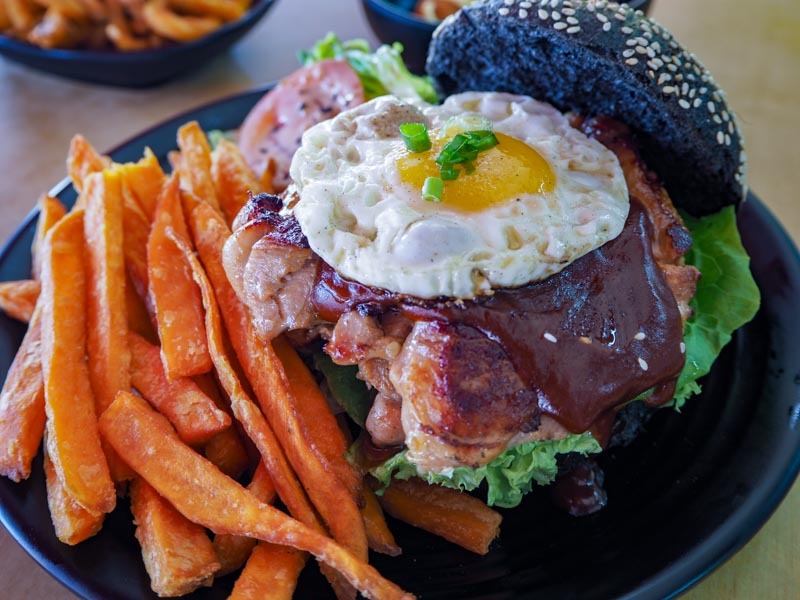 Don’t be alarmed with this burger as it was served in charcoal buns. The chicken chop was grilled so that the skin is slightly crisp and held a smoky flavour, which went really well with the honeyed BBQ sauce. The creamy yolk, on the other hand, neutralises the tanginess of the BBQ sauce so that it is not overly sweet. Other than mains, Indulge also serves side dishes for diners to snack on. One of their most popular side dishes is the Takoyaki (S$3), which was topped with nacho cheese and mayonnaise. 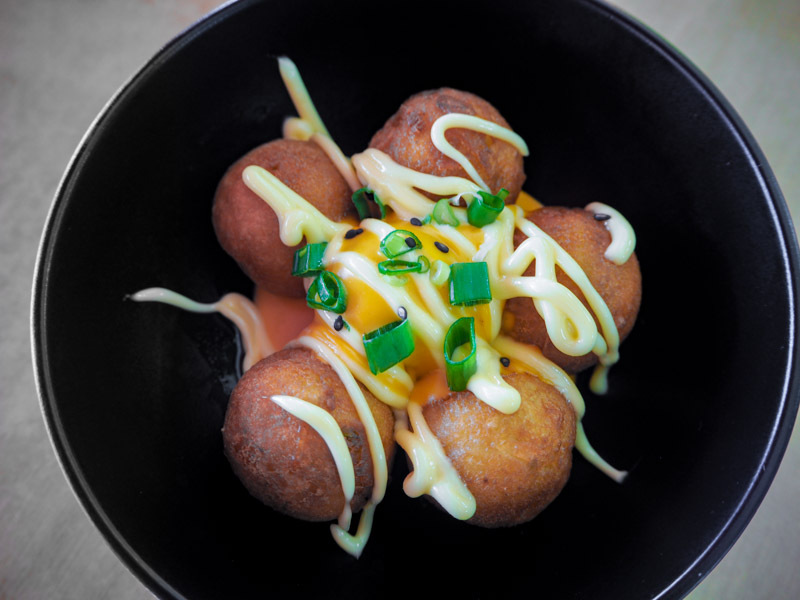 The takoyaki was crispy on the outside and creamy on the inside with a thick piece of octopus, and the nacho cheese enhanced the creamy flavour of the batter within. Pamper yourself and your family with an affordable customisable bowl catered to your taste buds. Despite the flexibility, I would have enjoyed my customisable bowls better if their poached eggs would be runnier. Psst, good news for us Easties, Indulge has opened their second store at Paya Lebar.